Home Care Certification is a comprehensive course designed to teach students the skills and abilities essential to providing basic nursing care to clients in their homes. 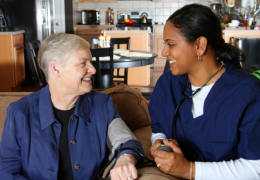 Graduates may find entry-level employment as home health aides with home health agencies. This training is provided by a licensed nurse and educator. This is 5-6 weeks course.